What should be a normal age? 22? Deutschess Kaiserreich wrote: Can I have a character be a descendant of Rommel? Gonna give you the really blunt question for this: For what purpose? I think it'll be really interesting. Having to live under your fathers and great grandfathers shadow. Monfrox wrote: Gonna give you the really blunt question for this: For what purpose? Right but you don't have to have it specifically be Rommel to do that. Also, there's a good gap in the age range from the different Valkyrie generations. Deutschess Kaiserreich wrote: I think it'll be really interesting. Having to live under your fathers and great grandfathers shadow. Mine is 22 but was never in the first generation on account of being in Berlin at the time and fighting to retake it. 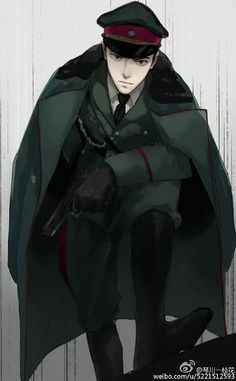 Having hard time finding Wehrmact animie male pics. Standing at an average height at 179.87, Erik is well built from his years in the remnants of the German army. He has dirty unkept brown hair, having lost much of his self-care attempting to survive and retake Berlin. He rarely smiles but when he does it always mean that victory is on the horizon or there is just beer nearby. He wears the signature cape that trails behind him in his off duty German Valkyrie uniform. His posture is always straight and at attention. Another trait he gained during his three years in the army. He would act in a support role for his first year. But something lurked in the back of Rommel's mind. His desire to command a unit. To outshine his father, once a leading man in the army, and his great grandfather, the desert fox himself, and make a name for himself. His desire seemed to be fulfilled as during an attempt to retake the Kaiserriech from Communist Rebels Rommel managed to rescue numerous wounded soldiers while under fire. He experienced a gunshot wound to the shoulder, shrapnel wounds in his foot, and a broken wrist in the process. He was the youngest person, only 15 at the time, to ever be recommended the iron cross but he would lose the medal itself to another soldier. But later that year he would receive the honor to be the man that ripped down the blood red hammer and sickle on the roof of the Reichstag and replace it with the rightful flag of the Deutschland. With this, he would be recommended for the GAMA program in 2040 during the later stages of the first generation. He would receive training for three years. He managed, although barely, to avoid most of the drawbacks of being a first generation Valkyrie (Only suffering a slight limp in his right leg that was permanent and backache for a month). It was a difficult transition from a foot soldier to a Valkyrie, often acting like a soldier and not a Valkyrie. But after three years of training, he was certified to be a Valkyrie and loaned back in the German government in order to attempt to retake Berlin once and for all. The offensive was codenamed "Seloow Heights". He would battle in the streets of Berlin slowly clearing it of their horrid creatures and terrorist scum. The Battle would be won in a fortnight, Berlin being declared clear and ready for the return of citizens and the remnants of the German government, but Rommel's unit would be damaged by a rocket to the rear exhaust vent and himself suffer minor injuries as a result. Then at the statewide festival named "Rebirthday" Rommel would be given what he had always desired, the Iron cross. In 2044 he would return to the GAMA to participate in the second generation Valkyrie program where he passed with resounding success due to his participation in the first generation. Operations so far have shown that Rommel is extremely aggressive in combat being always on the offensive and often entering melee. He is adept at hit and run raids and storming strongpoints if need be. He excels in Urban combat often jumping from rooftop to rooftop and decimating untrained cultists. 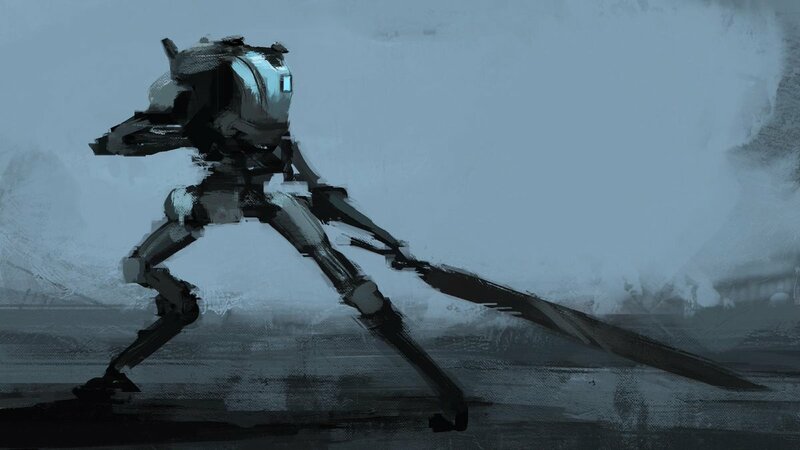 He often probes the flanks of his foes finding a weak point before applying extreme pressure on that weak point creating a breakthrough and causing havoc behind enemy lines. It should be noted that he often request air support and uses it to great effectiveness. Mental tests have revealed strong patriotism from Erik often speaking and writing in his diary of his dream of a Germany reclaiming it's pre-2030 borders and once more becoming a major power in the world. He admires the past often collecting relics from a bygone ever telling others, "Without the past who are we?" It should also be noted that it seems he admires the old Prussian traditions of old and carries a saber around with him telling others, in a humorous and self-aware way, "A Valkyrie without their sword is improperly dressed." RP Sample (a link to one of your posts in another RP): 1, 2, 3, 4 and 5. Theme Song (entirely optional): Glory to the fatherland! and protect our borders! 2x self-repair drones: Small little orbs no bigger than a softball with all the trinkets and scanners needed to repair all the Panzers in the Wehrmacht. They levitate around the injured Panzer repairing all damage on the surface but serious, entire limbs ripped off, etc, and internal damage they cannot repair. Long range communication array (Effective 200km). X1 30mm Morningstar assault rifle GL addition (handheld): Light, next to no kickback, reliable and rapid fire for days. These are the four traits that define the rifle. At only 1.8 meters in length, the morningstar is extremely effective at close range with the option to detach the barrel making CQB much easier and overheats less rare but, of course, reducing the accuracy and range of the rifle. This edition comes with an under-barrel 50mm grenade launcher with the following ammunition available. This model has been uniquely designed with an attachment for a 50 cm bayonet capable of penetrating steel and slicing a man in half with one stab and a swing. 50mm "Knock-Knock" concrete buster: Built to bust holes in urban environments the CB can penetrate two meters of concrete with a diameter of four meters. It does this with the round penetrating the calculated distance and exploding in the wall. A subdivision of this ammo type, Shock CB, penetrates the wall but the tip continues to penetrate and once it enters the other side detonates either a flashbang or a fragmentation blast with an effective radius of two meters. 50mm "Starlight" White Phosphorus: Built to create smoke screen it is certainly not used as an incendiary round. 50mm "Blaster" High Explosive: Effective up to 300m with kill range of 12m. 50mm "Splinters" Fragmentation: Effective up to 200m with kill range of 20m and wounding of 50m. 50mm "Dragon killer" Armor Piercing: Can penetrate 60m of armor at 300m. Not recommended against dedicated main battle tanks. 1.2-meter long vibrosaber "Barbarossa's saber": A 1.2-meter long saber that vibrates as fast as a hummingbird and made out of near unbreakable German steel. The weapon's hilt or handle contains a compact ultrasonic vibration generator, causing the saber to vibrate at an incredible speed, making even the slightest glancing blow become a gaping wound. The saber is dangerous to use against electrical weapons, as they conduct electricity. x1 20mm wrist mounted dual autocannons: Mounted on the right wrist of the mech the weapon is designed so that one can dual wield the saber without while at the same time having ranged firepower. 2x 15mm Luger II class machine pistols: The sidearm of the mech it is designed with close-range firepower in mind. It has a clip of over 30 rounds and an amazing fire rate. It could be dragged through mud and blood and still function the same as when it rolled off the production line. A fine example of German technology. x1 Tiger beißen class Shoulder-mounted 60mm rocket launcher. : The shoulder mounted launcher is mainly designed for long-range firepower. it is mainly designed to be used against armored targets at a long range being able to penetrate over 200m of armor with AP at 1km and 180mm with HEAT at any range. Compostie light armor 20m (Rated 500mm of steel). 6x Betrüger Hip mounted smoke launchers: Ejects electrically charged smoke to confuse electronics. However this also blocks the Panzer's own electronics. Last edited by Deutschess Kaiserreich on Thu Apr 18, 2019 3:53 am, edited 5 times in total. Hey, uh, Deutschess Kaiserreich, von implies that your character is a noble from the name that follows, so Erik von Rommel means Erik from Rommel, which is quite nonsensical. Sudbrazil wrote: Hey, uh, Deutschess Kaiserreich, von implies that your character is a noble from the name that follows, so Erik von Rommel means Erik from Rommel, which is quite nonsensical. Actually, it just seems cool and I can't find a cooler name. Does it really work as a name if it ignores what the von part actually means? I mean, grasping straws here, he would be 'from' Rommel in a way. I'm just curious as to why the name has to sound cool? 1. He was born in 2024... He somehow took part in the defense of Berlin in 2020 (I'll be charitable here and say this might be a typo and you meant 2030 because that fits the timeline), but with the benefit of the doubt he would have been 6 or 7, not 14 for the battle. Last edited by Kassaran on Wed Apr 17, 2019 10:48 pm, edited 1 time in total. Kassaran wrote: I mean, grasping straws here, he would be 'from' Rommel in a way. I'm just curious as to why the name has to sound cool? I don't know... I just can't make up my own damn mind! If you want to have your char related to the real life Rommel, then I'd say you rather keep the surname intact. If you want to add the 'von' to make it sound cooler, then maybe make him a descendant of a fictional von Rommel. Last edited by Vanquaria on Wed Apr 17, 2019 11:07 pm, edited 1 time in total. Also I'm not the OP or the Co-OP or associated with them in any way so I can't exactly speak for what they'll allow, but the bio might need revision if you want it to get accepted. Most of it looks like it was just thrown in because it was cool, not just the name. I get that it's a post-apocalyptic setting so there's some slack when it comes to conventions but he started fighting at an unrealistically young age and seems to be the only character that's basically already had a full and accomplished military career at the start of the RP. Becoming an officer at 18, retaking Berlin and changing the flag at the Reichstag himself, descending from a famous general, showing immediate promise with GAMA after switching over from being what appears to be a regular army soldier, etc. Also says that he can take on entire squads by himself and I don't think the OP or Co-OP would like someone like that for balance reasons. Just saying most of it reads more like the bio for an action movie protagonist than a balanced character that seems like a real person. Then again, you're free to disregard all of this. Okay, I'll put my questions here because you actually need to probably look at fleshing out the app a bit more, for continuity issues... Note I am not a Co-Op or the OP, but this is just the issues I'm seeing. April 30 2024 is when he was born, but in 2020 he took part in the defense of Berlin from... what? If that's supposed to be 2030, he would have been 6 and I doubt a 6 year-old is making breakthroughs in the defense or assault of any combat objectives. Alright, so if he picked up a rifle at age 6, not 14, that's something else to change, but having him- the descendant of a very famous German General wouldn't make him a number one candidate for Valkyrie training, especially not in 2031 when the first MACE has yet to arrive on any production line. Okay, so let's push this timescale up by ten years, and we'd have a workable plotline...He's born in 2034, he takes part in the German offensive in 2040, so he could be 6, do some fighting I guess around then. He becomes a Valkyrie 2041-2043, gets the MACE training done, and goes back on loan to the German government to finish some business, and then came back to the states as per GAMA guidance since he became their property the moment he became a Valkyrie. Now, here's the next issue I have, the MACE:It has self-repair drones, and they seem to be quite advanced technology. I also note that they seem to be ripped from something regarding titans? Thanks for all your help. Wrote it half asleep . Will fix as soon as possible. I've conferred with my co-op and this app does have quite a bit about it. Much of what Forest and Kass is true and I hold that to the regard about the rest of the app. There is much too much going on here for me to really pin down just "what" is wrong here. So from everything up until now, the thing my co-op and I have discussed is that Valkyrie selection is done while you're still growing and the augmentation is done before you hit puberty. This was the way it was in the old canon so we thought we'd keep it this way because something about teenage heroes in anime just seems to be a thing. And with that, and everything else going on, I cannot give this my approval and nor can my co-op. Monfrox wrote: I've conferred with my co-op and this app does have quite a bit about it. Much of what Forest and Kass is true and I hold that to the regard about the rest of the app. There is much too much going on here for me to really pin down just "what" is wrong here. So from everything up until now, the thing my co-op and I have discussed is that Valkyrie selection is done while you're still growing and the augmentation is done before you hit puberty. This was the way it was in the old canon so we thought we'd keep it this way because something about teenage heroes in anime just seems to be a thing. Even if I edit it? At this point, you'd be better off starting over from scratch. I should also mention that I finished my app and added the MACE section, might have gotten missed at the end of the last page. Forest State wrote: I should also mention that I finished my app and added the MACE section, might have gotten missed at the end of the last page. It did. I've been worrying a little more about my job status and everything as of late, but I'm still around. With that, I'll give it a few more days for you all to get your butts to the briefing before we head off. I made a very major edit. He does not resemble v1. Much younger now. 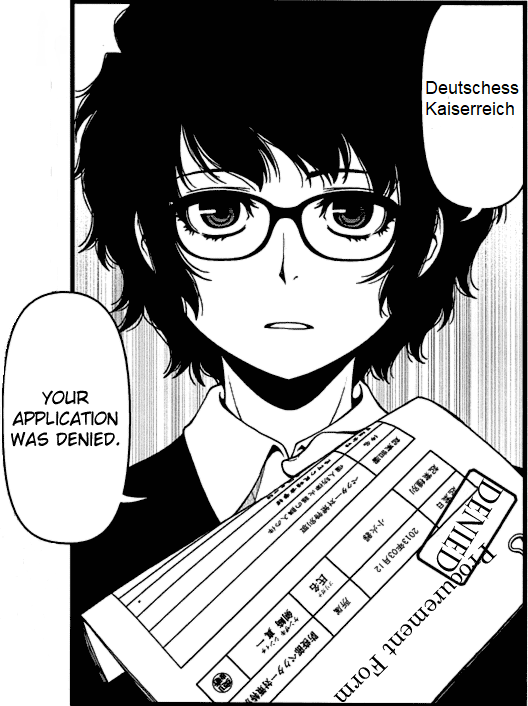 Deutschess Kaiserreich wrote: I made a very major edit. He does not resemble v1. Much younger now. But I want to make some more edits but I'm too tired right now. It was hell at work. Almost got laid off.